Big White Ski Resort is the second largest ski resort in British Columbia Canada. It provides over 2500 feet of vertical, spread across 7355 acres service by 15 lifts, 4 of which are high speed detatchable quad chairs. The resort received 25 feet of light champagne powder each year. 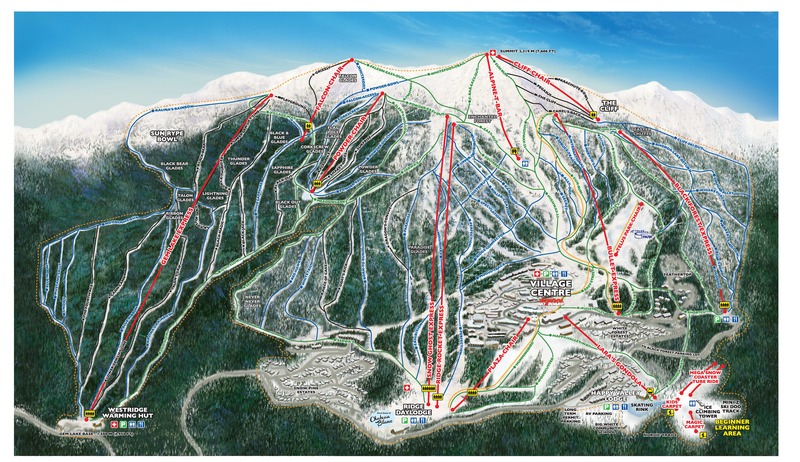 The picture below provides an illustration of the mountain, the chair lifts and the ski runs.